There are few places you can go where you can be truly overwhelmed by nature; the kind a place where even a moment’s distraction might mean something is missed – something indescribable and unrepeatable. In Tanzania, the Serengeti and the Ngorongoro Conservation Area hold exactly that kind of promise. 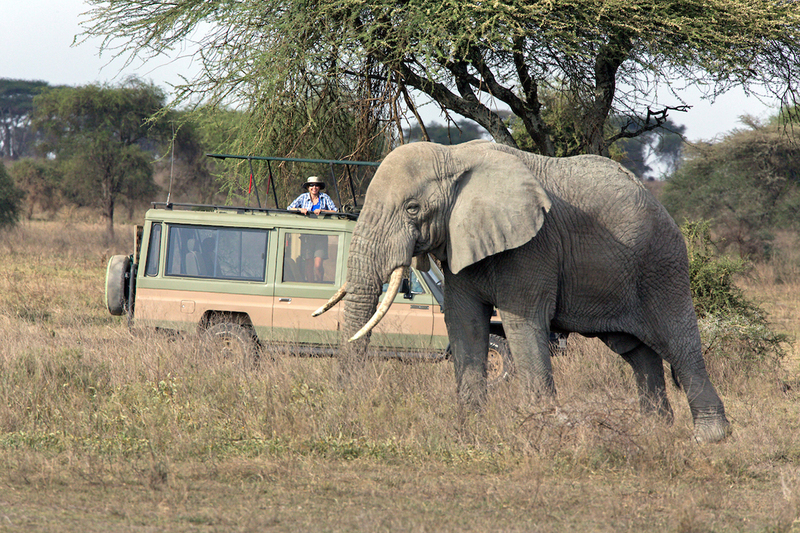 Tanzania might mean something different to everyone, but to many it means the wildest of the wild. It means animals beyond measure. It means wildebeest migrations and big cats and dust clouds and rainstorms. It means Land Rovers and smiling faces and surly elephants and endless skies. It means raw nature. For those of us who want to see things for ourselves there is nowhere like it. The days start early. Long before dawn you formulate a plan with your driver. You know full well that the plan will almost certainly change. Tanzania gives up things at her own pace, and you gladly take what she offers. 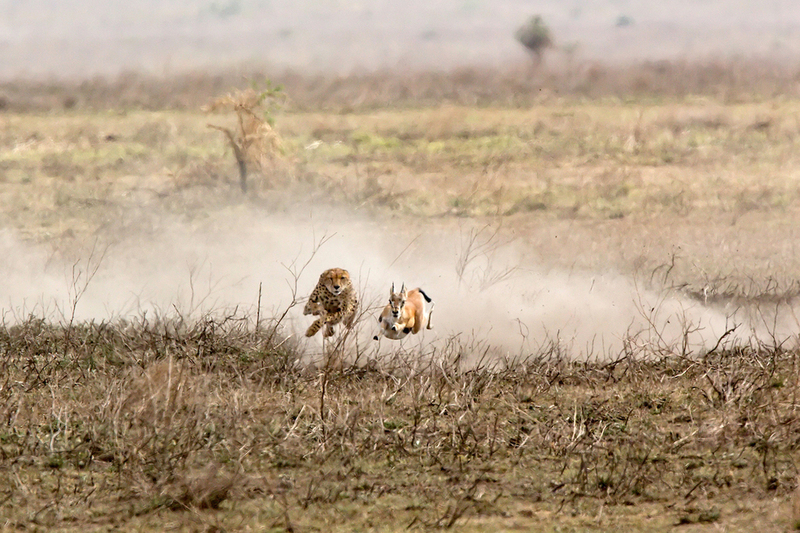 A search for leopard can quickly evolve into a day spent with cheetahs and gazelles. You may turn a corner on a dusty two-track road and come face-to-face with a bull elephant unwilling to give way to your vehicle. 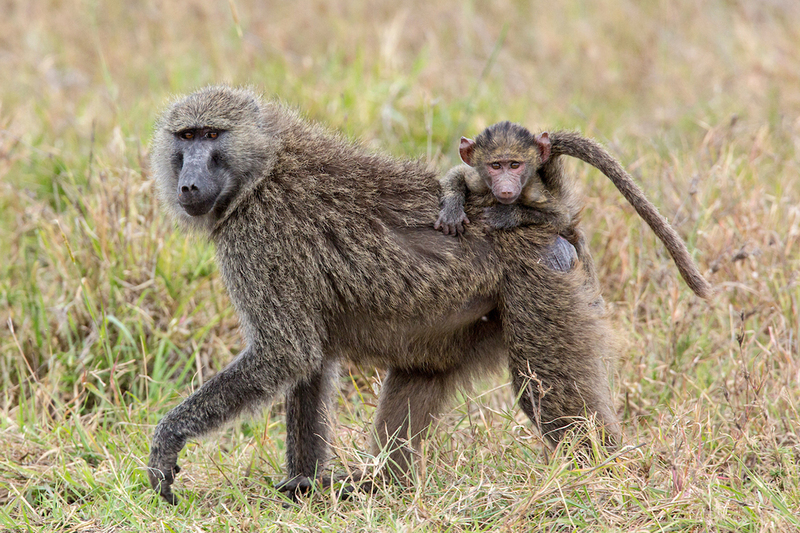 Never mind; there are baboons with babies clinging to their backs back right behind you and a python slithers through the grass just down the trail. Bat-eared foxes judge your intent as you pass by their den. While watching multi-colored bee-eaters catching insects, a motion off to the side shows a serval cat leaping after Guinea fowl. The rest of the morning is now meant for the serval. Around the next corner a male lion mates with a female in the grass, their snarling passion breaks the silence of the mid-day heat. Later another big male lion argues with a Cape buffalo only inches from his nose The scene is improbable, surreal, but there it is. It has been said that the light in Africa is unique, that it takes time to adjust. That may be true, but if there is any place where good optics are invaluable, then Tanzania is that place. 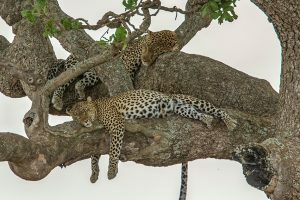 A leopard lounging in a sausage tree, tail twitching below the big branch, soon turns into two leopards through binoculars. 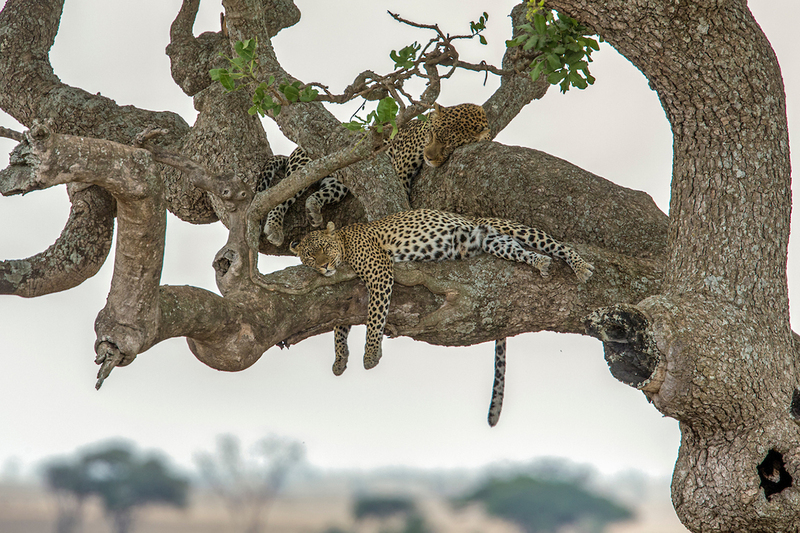 Then a third is spotted, a tiny cub climbing up the trunk of the big tree. Inside the rim of Ngorongoro, the broad, flat crater floor is covered with animals that somehow disappear on the billiard table surface. Rhinoceros are there one moment, gone the next. Naked eyes don’t have the power to find them again in the shimmering heat. A coalition of three male lions lounge in the shade of an acacia, but take your gaze from the glasses for just a moment and their tawny coats dissolve in the grass. Out at Ndutu, a prowling cheetah leaves her four cubs crouched motionless and invisible in the dust as she and a gazelle both run for their lives. So it goes in Tanzania, and the awe is perpetual.